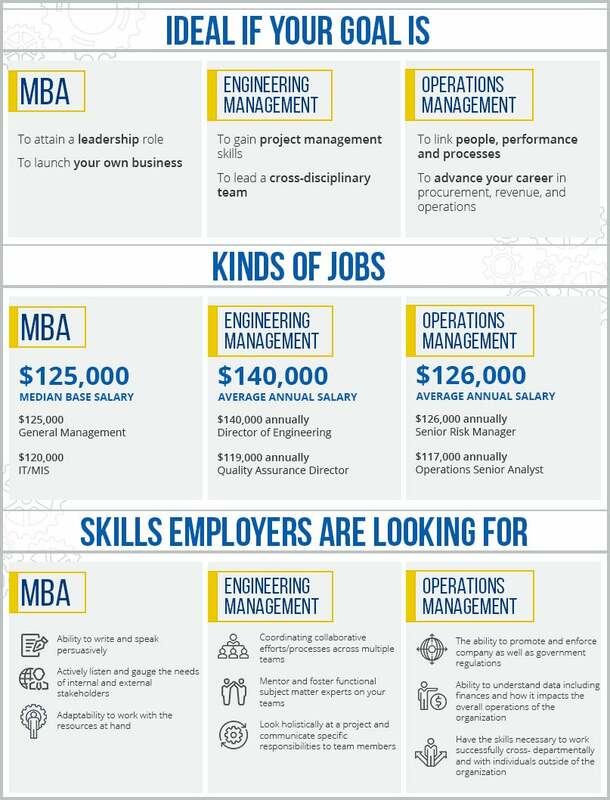 An Operations Management master’s degree from Kettering University Online gives you the opportunity to develop the expertise, strong leadership skills and ability to link people, performance and workflow processes, to ensure optimal efficiency. Once you master these skills, the opportunities to make a global impact are tremendous and can catapult your career in procurement, revenue, operations and performance excellence. Throughout the program there is the opportunity to practically apply what you learn in the classroom. "Learn Today-Use tomorrow." The purpose of this course is to provide the student with an overview of the role in the firm performed by financial management. The first half of the course focuses on the theoretical valuation of stocks and bonds and the capital markets in which they are traded. The second half of the course focuses on both the use of financial leverage by the firm and working capital management. The major focus of the course is how organizations implement processes globally using enterprise resource planning (ERP), supply chain management (SCM), customer relationship management (CRM) Product Lifecycle Management (PLM) and social networks. The course also provides a brief IS infrastructure overview and addresses key IS management topics. This course will provide students with an exposure to and an understanding of the core concepts and tools of operations management. These concepts and tools will be presented in a manner that will allow students to understand the fundamental importance of coordinated operational activities. This course provides the manager with a variety of quantitative techniques to facilitate the decision-making process. Both optimization techniques such as linear programming and stochastic techniques such as waiting-line models and Markov processes are covered. Imagine having a leg-up on the competition by not just getting one Master’s degree but having two MS degrees for the same number of courses some institutions have for only one degree? In addition to earning your master’s in operations management, we provide a unique option for you to enroll in just four extra courses to earn your online MBA as well*. With this powerful 1-2 punch you not only show you excel in operations but also the ability to make important business decisions vital to organizational success!